Page builder. Yes, we are talking about the same page builder WordPress themes and plugins which have revolutionized WordPress world unprecedentedly. One after another, a new Page builder or Layout builder is becoming part of WordPress marketplace. The thing is that people seem to like page builder themes very much especially plugins because these things give you a power to start your own web design business. Take, for example, Divi builder by Elegant themes. Divi builder is a completely frontend-custom-web-design-creator plugin. With its help, a web designer can not only design a website by himself but can authorize his clients also to make changes to page layout and content easily without any need (for the client) to enter the backend. WordPress developers lately seem to try to bring all WordPress functionalities to the frontend so that WordPress may become a fully client-friendly web design software. For instance, WooCommerce. WooCommerce has supplanted on a large scale many costly commerce software. WooCommerce is a free ecommerce plugin with many paid add-ons available. It is a magical plugin. Why? 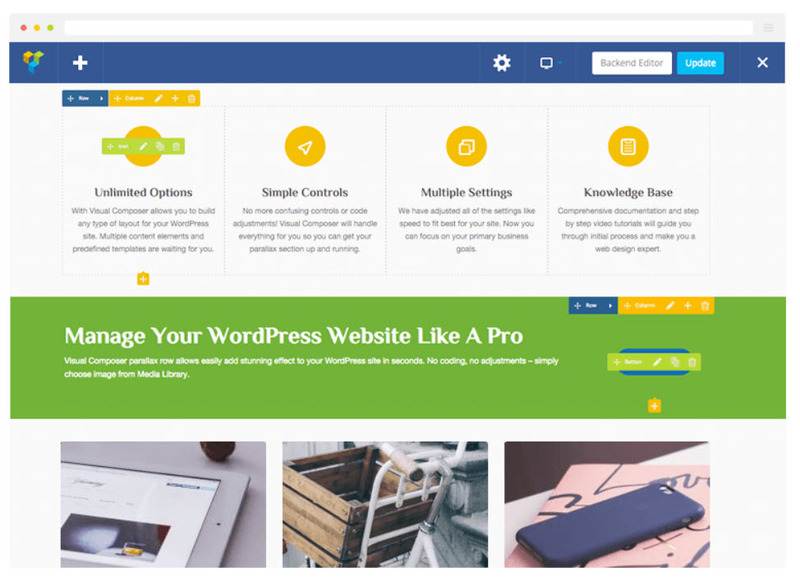 With the help of this plugin, not only a professional but also a layman who has the basic knowledge of WordPress and hosting can start his own shopping website and sell his stuff. Now developers are focusing on how to bring administration functionality of WooCommerce to the frontend. Dokan and WC Venders plugins are results of these efforts. We have written a post already on WordPress page builder plugins which can make creating a layout design very easy. In the present post, we’ll talk about those page builders which help you create more and more custom layouts. Guys, in order to create a complex custom layout, we need nested columns and rows. What are the nested rows and columns? We can put it this way: we add a row to a layout and divide the row into three columns, now we want to add rows to these three columns and divide them too in columns. It can be accomplished with the help of nested-rows-and-columns feature. We can create complex layouts with the help of nested rows and columns. At present only few WordPress layout builders provide this feature i.e. nested rows and columns. We are going to have a look on those layout builders in this post. When it comes to WordPress custom layout, Toolset layout is undoubtedly the best option to rely on. As we know Toolset is a kit containing many plugins, which allow you to create advanced database applications and complex layouts without having to know any programming. Toolset Layout is a part of Toolset, which helps you build the design of a page on the frontend or backend. Most importantly, after version 1.9, Toolset has become stronger and more powerful than ever and can be used with any theme. With Toolset Layout, you can add columns to a row and then again add columns to this nested row also. Not only that, there is much more to it. As we said, on the whole,Toolset Layout is the unanimous winner in terms of creating most advanced and complex layouts. Visual Composer is one of the most popular page builder WordPress plugin available and it is being used by more than 200 thousands of customers. Visual Composer lets us build layouts in a highly versatile mode either from backend or frontend. Creating custom page layouts is flexible and easy with Visual Composer and it offers two kinds of page builders: backend and frontend. 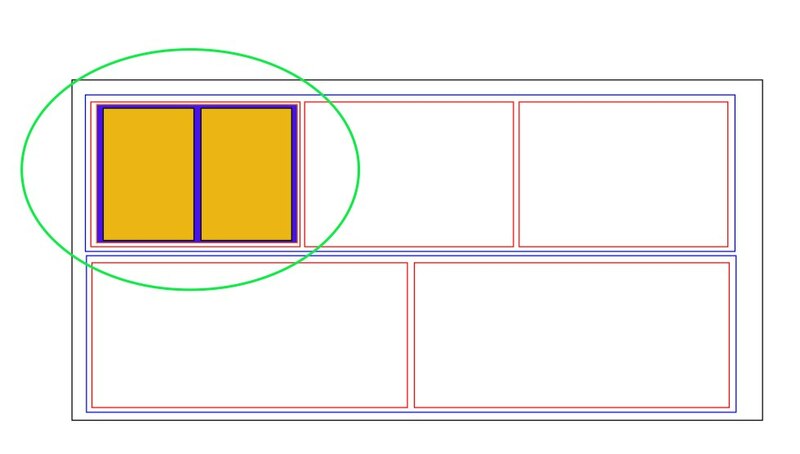 With the help of Visual Comp[oser, you can create complex layouts with nested rows and columns. Visual composer comes with lots of customizable page modules such as text, image, slider, icons, sidebars and many other widgets. Toolset layout is a complete layout builder on the other hand Visual Composer has control over just post area. Which is better? Comparing Toolset Layout with Visual Composer is not easy as both have their own pros and cons. In some matters Visual composer is better while at the same time there are features where Toolset Layout outstrips Visual Composer. Toolset Layout is the only layout builder that supports multi-level row/column nesting. You can nest row/columns in already nested row/columns. With Toolset Layout, it is possible to create page templates, header and footer templates too. It is comparatively easier to create layouts with Visual composer. Visual Composer offers more styling options for rows, columns and modules. Visual Composer offers more layout elements. Then who is the winner? When it comes to creating a page layout with easy-to-customize options, much more modules to add to the layout, Visual Composer seems to be better. But if advanced functionality, complete page design (including header, footer and sidebar) and multilevel and highly complex layouts are on your priority list, Toolset is the ultimate winner.